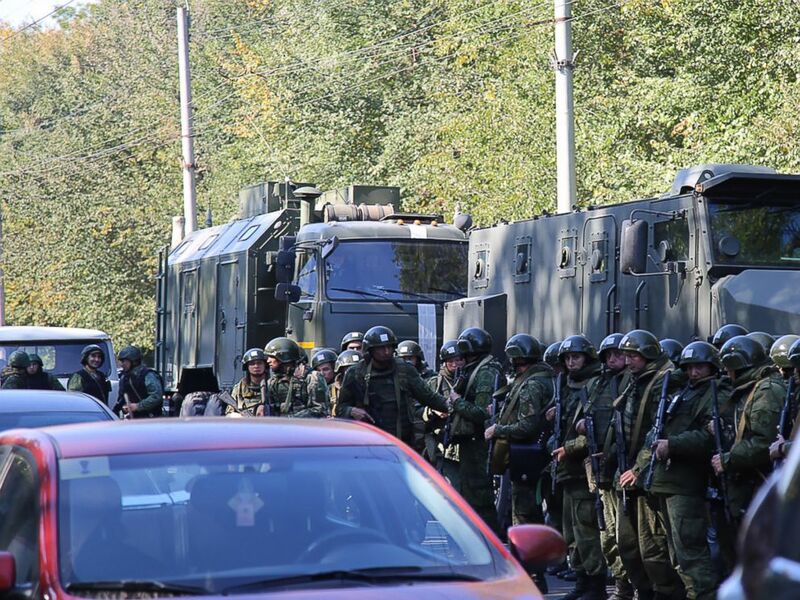 Law enforcement officers at the site of an explosion at a college in the Crimean city of Kerch, Oct. 17, 2018. 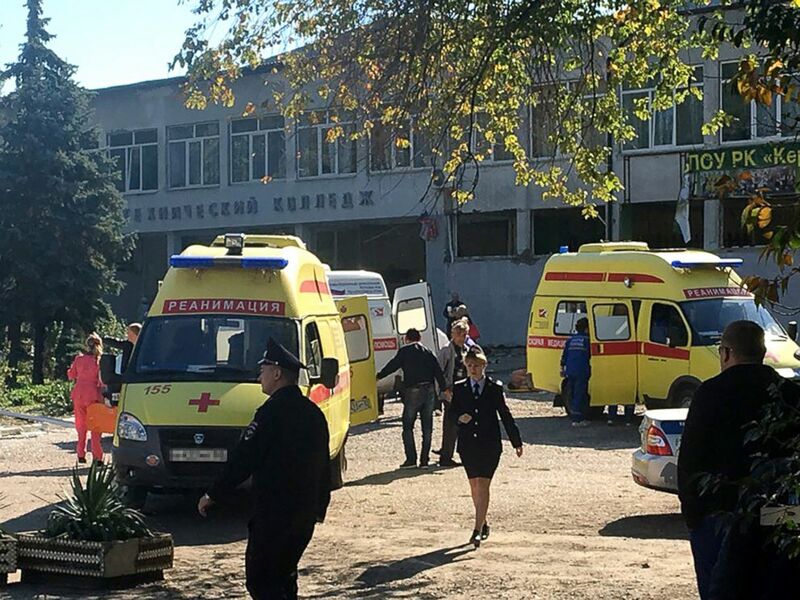 An ambulance near the building of the Kerch Polytechnic Vocational School where there was an explosion, Oct. 17, 2018, in the city of Kerch, Crimea, Russia. 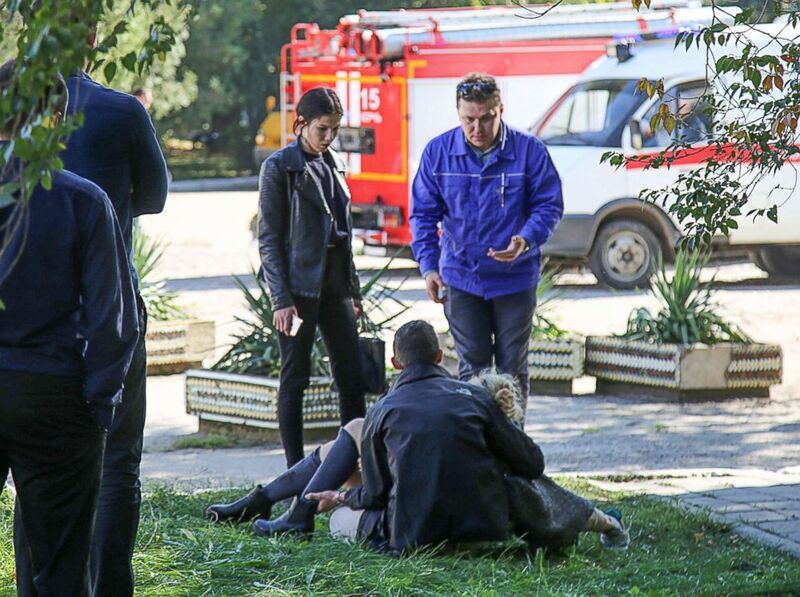 A rescuer carries an injured victim of a blast at at a college in the city of Kerch, Oct. 17, 2018. 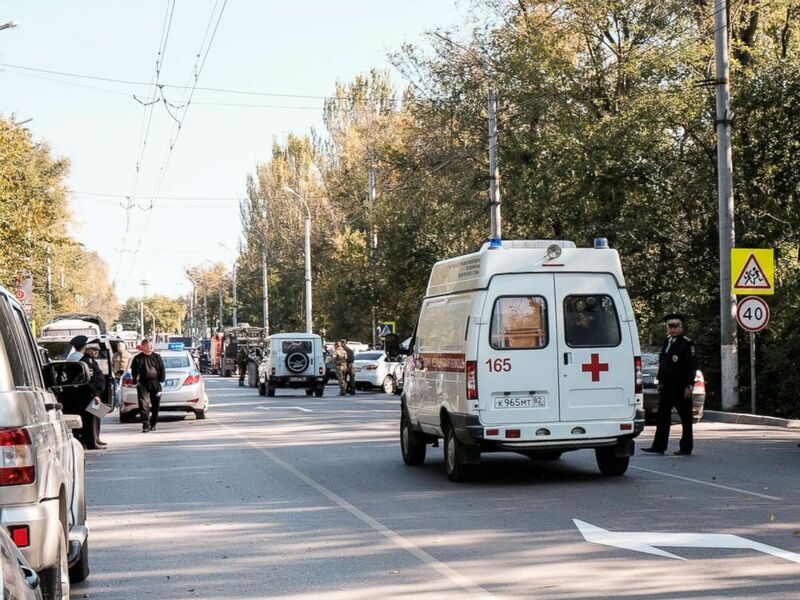 The site of a bomb blast at a college in the Crimean city of Kerch, Oct. 17, 2018, in Crimea, Russia. 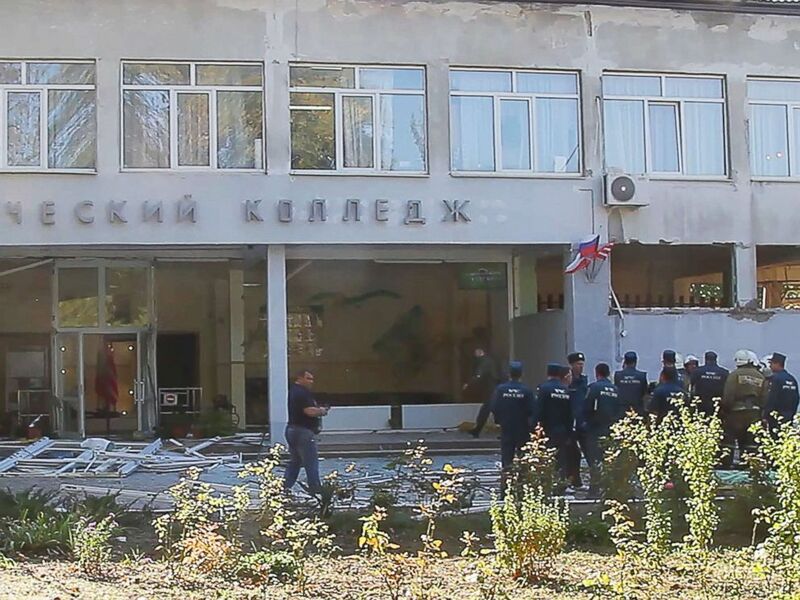 The site of an explosion at a college in the Crimean city of Kerch, Oct. 17, 2018.